We allow only selected members to post printable resources in StudyVillage. This is to ensure we have very high quality content. If you think you qualify, please contact me at my GMail id "tonyjohn" or use the contact form link. Remember to include sufficient information about yourself to help figure out if you qualify to do the job. You may include references to some similar work you have done in the past and also share some information about your experience and skills. Typically, you must draw the work sheets on your computer and save as an image in the format .JPG or .PNG. 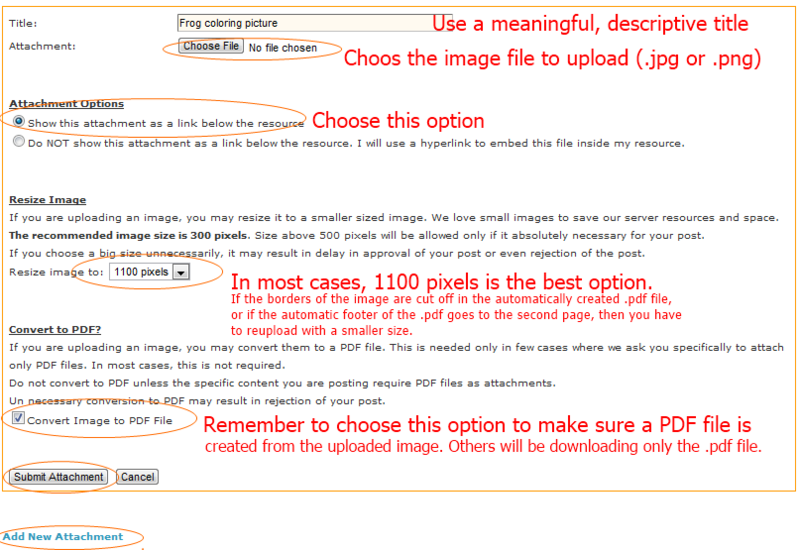 We allow uploading only .jpg or .png images and then during uploading, our system will convert it in to .PDF files. You may draw various worksheets like Math problems, Mazes, Coloring pages, Writing letters, Paper crafts, and various other learning activities. Avoid colored backgrounds for images. When such worksheets are printed on black and white printer, colored backgrounds will appear in dark color, resulting in almost black papers. Also, they will take a huge amount of INK. So, try to make images without too much color. Obviously, you can include small colored images to make it pretty and attractive for small kids. Each image/worksheet should be a separate drawing. This means, when someone print an attachment, they should get exactly 1 worksheet. Try to draw a reasonably big image that will fill the entire page when printed. Never copy paste any image from any other source. Reproducing images from any sources, including from other websites, are illegal and is a serious violation of copy right laws. All images must be drawn yourself without copying or imitating other pictures in books, internet, news paper etc. Also, you should not reproduce worksheets from other sources and then draw it yourself. Reproducing same worksheets and drawing yourself also will come under copy right violations. You may refer to other sources just to see how they are doing and then you should come up with your own ideas. Some people like to draw the worksheets on paper using pen or pencil. In such cases, you can scan the paper as an image. But when you scan, make sure it has very clear clarity with no background gray shade. The hard part is done after you draw and create the work sheets. The next step is, group the images by type, category, age of kids and purpose. You should not mix up all of the above and post together. Instead, you should post them as separate resources, as mentioned in the next step. Don't ask how to attach drawings yet. Instead, post an article first to represent each group of drawings. After saving the article (resource), you will see the options to attach the related drawings to that resource. In order to create an article (resource), go to resources section. Then click on the "Post Resource" link in that section. This will present you the options to create a new article. "Are you looking for Maths worksheets for yourself, your kids or friends? In this age, you can find several simple and child friendly Maths Worksheets that can help you improve your knowledge on Maths"
"Maths is challenging for many children, but there are few ways to make Maths learning fun. Learning through Worksheets is one of the best ways to learn fundamentals of Maths for children. In this post, I have provided 5 printable Maths worksheets. All the worksheets are in PDF format which will allow you to easily print on any printers. Feel free to pront any number of copies and use as you like or give to your friends. You are welcome to use all the Maths worksheets in this page for your personal use or any non-commercial use. You are welcome to distribute the worksheets to your friends as long as you do not remove the header and footer from the worksheet. There are 4 Maths works sheets attached. 2 of them are for addition of simple numbers using pictures. Other 2 are ......"
Do not copy paste the above text. Instead, come up with your own text for each resource. Do not repeat same text in all resources. Duplicated text will be rejected. While you save the resource, there is a checkbox called "I want to add some attachments to this resource.". If you choose this option, you will be automatically redirected to the page where you can select the file from your computer and upload the images. 1. Image size: In most cases, the suitable size is 800 pixels. 2. Convert to PDF file. You must choose this option so that your uploaded image will be automatically converted to a PDF document with our header and footer on it. Readers will be printing only this PDF file and not the original image. "Help this rabbit find the way to it's mother. You can fill draw through the maze to find the way to the mother rabbit." When you draw new images, you can edit existing resources and add as attachments, as long as they come under the type of the existing resource.. We like resources with multiple attachments instead of numerous resources with single attachments. If you have any questions, please post a response below. We are eagerly waiting for the MS Word or PDF Template which has the Header and Footer of SVG. Thanks! sir.for detail information about how to post printables here.as i want to know that if I attach image from world documents.is it works properly or not.About practice test we also attach images. Tony sir thanks for the detailed information on this important part of studyvillage. I have posted coloring pages and color-math worksheets in July. Till now not approved. May i know the reason? I can see many posts posted after that date also approved. If any error in the post, please can you mention it ? One is approved now and other one is moved to pending since those coloring pages are filled with black color. i want to look out some samples for printable worksheet so that i can produce own by seeing some samples.where can i search for it? I have emailed you animated logo for study village. Please check that. Also, thanks for advice, i will redo the pages without feeling black color. I have revised the pages without black color. Please check the same. Also please confirm if you reviewed the animated logo for study village which i sent to you. I have given you permissions to post. I am looking in to the logo now. Will let you know soon. I am awaiting permission/access to post the printable. May I send my documents in Microsoft word rather than PDF? I have a lot of English work sheets which could benefit this site and other teachers and would like to share my resources. Thank you !!! As mentioned by our webmaster Tony sir we want the worksheet in JPG or PNG format. Which means you have to have your worksheets in the told image format. The rules and guidelines that you were given for posting the resources under printable like Drawing and worksheets are really given more information to me. The each and every step for posting resources explained by you were really great and more informative. I assure you that definitely we will follow the guidelines and rules given by you for posting the article in that relevant section in forthcoming articles. My self simon George and new to this website.I want permission to post printables...please gave me a chance to prove my self. Forwarding this message to get permission. I want permission to post printables.....i am waiting for response and to start my work.I have attached a sample.Please check it out.